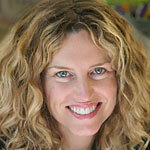 Meg Grundy, LCSW has a private practice in Carmel, Ca. Her primary clinical focus is in treating complex trauma and anxiety disorders. She has over 20 years of clinical experience working with teens and adults.Meg is an EMDRIA Approved Consultant, EMDR Certified and a Facilitator for the Parnell Institute. Her training in Attachment Focused EMDR began in 2007. She is an adept EMDR practitioner and consultant and infuses her passion and creativity in working with both clients and consultees. Meg enjoys providing consultation to both new and seasoned EMDR clinicians and offers individual and group consultation in her office and over the phone.